If you enter one office among the many in the Dubai Multi Commodities Centre, you will find a mezuzah on the door, much the same as those many Jews place at the entrance to their homes and workplaces. What is this visible symbol of Jewish identity doing in the financial center of the United Arab Emirates, a state that does not have official diplomatic relations with Israel? Well, it is actually just the tip of the iceberg of burgeoning trade ties between the Jewish state and the Persian Gulf state, driven in large by the diamond trade. It is often overlooked by people outside of the business, but the territory that later became Israel has long been a major diamond trading center, dating back way before the establishment of the state in 1948. In fact, diamonds still comprise a significant portion of the Israeli economy, generating roughly 13% of the country’s total goods exports in 2017, according to data from Israel's Ministry of Economy and its Central Bureau of Statistics. In concrete terms, according to the ministry, Israel exported $4.6 billion worth of polished diamonds and $3.3 billion worth of rough diamonds last year. How does the UAE figure into all of this? Officially, it does not. There are no commercially available direct flights between Israel and Dubai, and consequently, no direct exports between diamond companies in Israel and their counterparts in the UAE. Everything, from the diamantaires with multiple citizenships and passports to the goods themselves, must pass through a third country. That means this thriving business appears on the books as Israel-Swiss and Swiss-UAE trade or Israel-Belgium and Belgium-UAE trade, and everybody concerned would probably like to keep it that way for appearances' sake. After all, the diamond industry's specialty is in keeping up appearances. The hidden story is really about Israel's gradual decline as a diamond trading center and Dubai's growing role in the industry. When Mandatory Palestine became a diamond industry center, it was based on the cheap skilled labor provided by first and second generation Jewish immigrant polishers. This made the factories in Ramat Gan and Netanya very economical centers for polishing small diamonds below one carat in size, for which labor represents a significant chunk of total costs. As a result, Israel outcompeted other diamond centers like New York and Antwerp, Belgium for this type of goods. At the time, Antwerp was where large and extremely valuable diamonds were polished by the most skilled artisans in the trade. When it comes to bigger stones, labor represents just a small fraction of the final product’s price. However, wages in Israel have long since risen and India has replaced it as the place to go to polish small and relatively low-value diamonds. This can easily be seen in the 45% decline in the volume of polished diamond exports from Israel since the financial crisis in 2008 to just 1.7 million carats in 2017. Today, 11 out of 12 diamonds in the market are polished in India in factories located around the cities of Mumbai and Surat. Meanwhile, most of the large factories in Israel have shut down and the local industry has found a small but profitable niche in polishing high-end diamonds greater than three carats in size—the type of rocks you only see worn by the truly wealthy and not your average fiancée. The best markets for these diamonds are not in the U.S., but in the Persian Gulf, Russia and China—countries with significant numbers of ultra-wealthy individuals who like their bling. In the Persian Gulf, the diamond supply hub for all the high-end jewelers in the region is Dubai. Meanwhile, Antwerp has repositioned itself as less of a place for polishing diamonds and more as a trading center for vast quantities of rough diamonds coming from the mines in Africa, Russia, and Canada. The UAE, on the other hand, has cleverly taken advantage of its much closer proximity to the polishing factories in India, lack of colonial-era baggage and reputation as an easy place to do business with a minimum of paperwork and taxes. 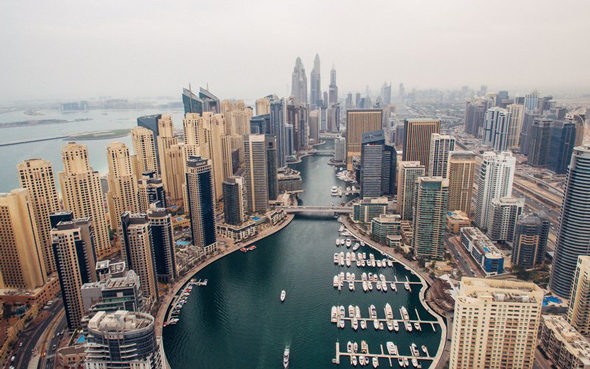 Consequently, Dubai has also attracted in recent years a growing share of the trade in rough diamonds straight from the mines in Africa and Russia. Last week, Moscow-listed mining company Alrosa-Nyurba PJSC announced the closing of its fourth rough diamond auction in Dubai this year, which generated $9.5 million through the sale of 141 large and exceptional quality diamonds—exactly the type in which Israel's remaining polishers specialize. Alrosa stated matter-of-factly that diamantaires from India, Belgium, and Israel attended the auction in Dubai. Like everyone else in the world of diamond trade, the diamantaires in Israel and the UAE are focused on keeping their businesses running smoothly and making a profit. They leave the handling of political sensitivities to politicians and diplomats. Meanwhile, the jewelers all over the world get the polished diamonds they need, everybody makes money, and the world keeps on turning.